Leicestershire schools and nurseries… Do you need the place cleaning for when the kids return from the Christmas holidays? 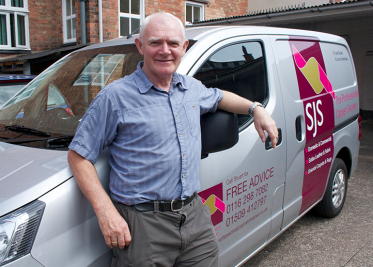 SJS have specialist experience of working in different sectors for a range of businesses including hotels, retailers, schools and manufacturers. Our award-winning Texatherm cleaning equipment is perfectly suited for commercial cleaning, making it so that we can clean large areas effectively and quickly. Health and safety is of paramount importance in the cleaning industry. Professional cleaning solutions are tested for their effects on the environment and occupants of areas in which they will be used. NCCA members will also ensure that the relevant safety procedures are followed during the cleaning process. It is highly recommended that children and pets stay off of a damp carpet until it’s completely dry. Although our cleaning process and the chemicals involved will cause no harm, staying off the carpets will help prevent slip and hall hazards as well as tracking in fresh soil. Leicester’s professional carpet cleaners can achieve a deep, wet clean with the benefit of 30 minutes drying time! Fortunately, it isn’t only carpets that we clean! If you need hard flooring, sports halls, curtains or any upholstered furniture cleaning, we can do that also.